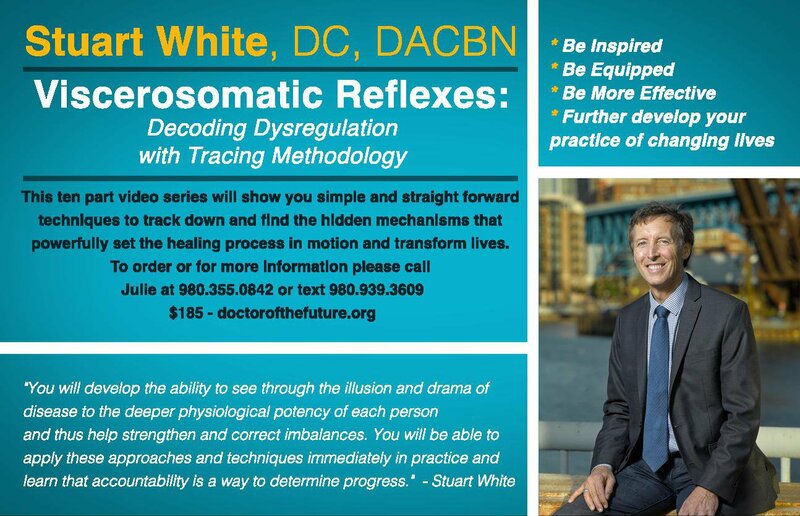 Dr. White is excited to offer this new 10 part video series from a day and a half seminar offered in Cleveland, OH in November 2016. It is an excellent compilation of continuing education PowerPoint presentation with integrated video of Dr. White's presentation. This will educate you and train you in the application of Tracing methodology, and the theraputic rationale behind it. The cost is $185. The System Strength Analysis DVD is Dr. White's muscle testing system. The cost is $125 and includes DVD, notes and charts. The Doctor of the Future - The Seven Pillars of Health 16 hour seminar DVD is $ 240. It is a full 7 Pillars seminar taped in Austin. The accompanying notes are an additional $20. Call Eileen at 980.355.0842 or text 980.939.3609 to order these videos. Please include your name, shipping address, name and number of items you'd like, and your phone number. The SSA poster shows all of the SSA muscle testing points and the protocols to support them, and the 7 Pillars poster shows each pillar with protocols. They measure 24 x 36 inches and cost $65 each or $80 for a set of two. Tthe Advanced Practitioner Training DVD is a 2 day training shot live in Houston, wherein Dr. White sees new and return patients live in front of a group of practitioners and explains his methods every step of the way. 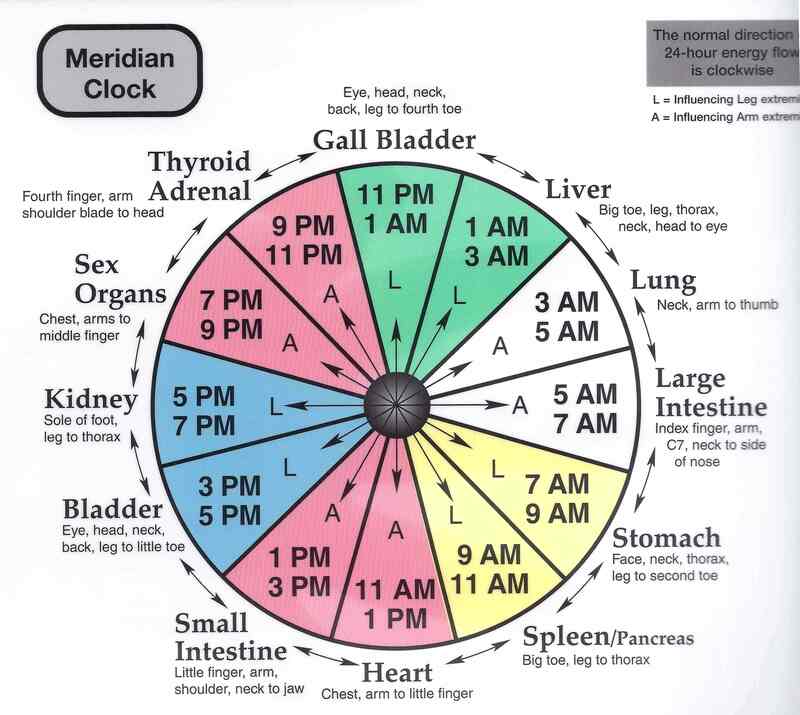 Call Megan at (614) 891-4226 to order posters and the Advanced Practitioner DVD. Welcome to the Doctor of the Future website. Dr. Stuart White offers the Doctor of the Future - The Seven Pillars of Health and the Doctor of the Future - The Practice of Rational Intervention wholistic nutrition seminars. Please see below for Dr. White's seminar schedule and check the box on the right for updates on DVD and software availability. Click the link below for the Mentoring the Mentors semi-monthly teleconference. Thanks for visiting! Please call the Standard Process representative for each area for more information or to sign up for seminars or the Mentoring the Mentors webinar. **Dr. White is now offering the Clinic Master mentoring program to help develop your nutrition practice. It happens entirely online on Saturday morings with some evening sessions and can be joined by contacting Jim Marecic at 704-360-2601.